Good food, fun times with our little family, and our annual 4th of July flag cake... it was a fabulous 4th here, and I hope you enjoyed a fun day too! And our rocket wreath is hanging on our front door. 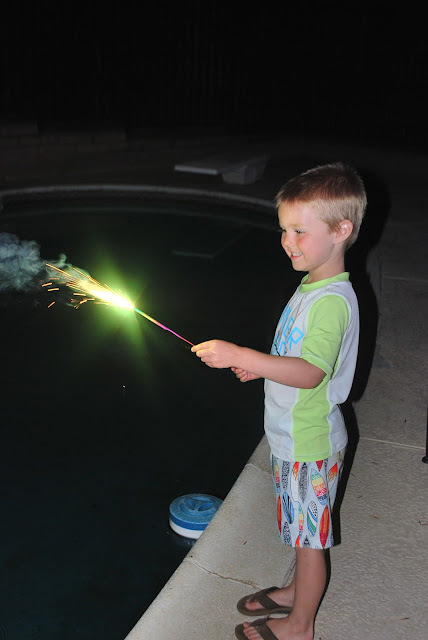 I love decorating at night after the boys are asleep so they wake up to a fun breakfast surprise... sparklers, glow sticks, and lots of red, white, and blue! And the boys decorated the sidewalks. 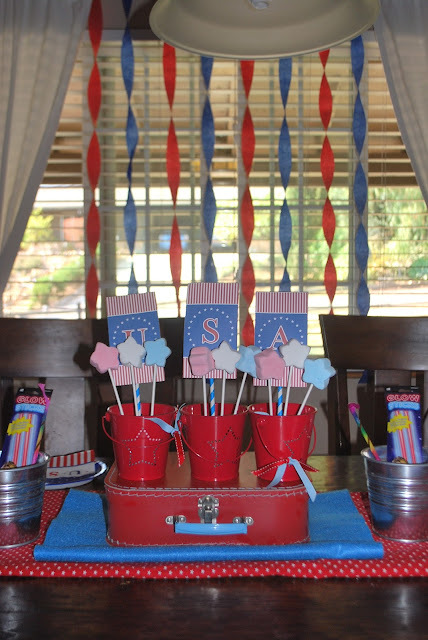 Our 7 year old is a very patriotic American. He was a little sad and surprised that not all of our neighbors were flying a flag today. And what's the 4th without star-shaped watermelon? and was so disappointed when he learned that it wasn't! Hope you had a wonderful 4th!! I'm so grateful to be an American, and especially for the people who sacrifice so much for our freedoms that we enjoy. so cute. you do such a nice job setting things up for your little ones! So cute! Such a fun day you had! I love their shirts! Super cute! Your boys are adorable!